Courtesy of your friendly local Temple of Orcus. As luck would have it, following a recent suggestion from Alex, I’d decided several days previously that Orcus is the main cosmic power to whom adventurers may turn when seeking to raise a dead companion. Pay 2,000gp and provide a bunch of live sacrifices to “butter up” the lord of the dead. A total of 17 humans or 32 “little people” were the figures recommended. I really like the feeling of dark gods being accepted as part of the world, though still feared. There is a danger here of domesticating the darkness, so setting details like this should be handled carefully. 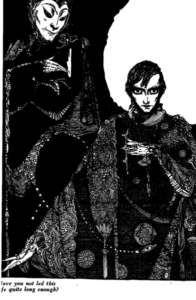 Perhaps cultists of Orcus could be major campaign antagonists as well. Perhaps being raised brands one as an untouchable or immune to normal curative magic. The monotheistic tradition has to some degree done away with the ambiguity of scary-but-cosmically-necessary (present, for example, in the Greek fates or the fickleness of Poseidon). 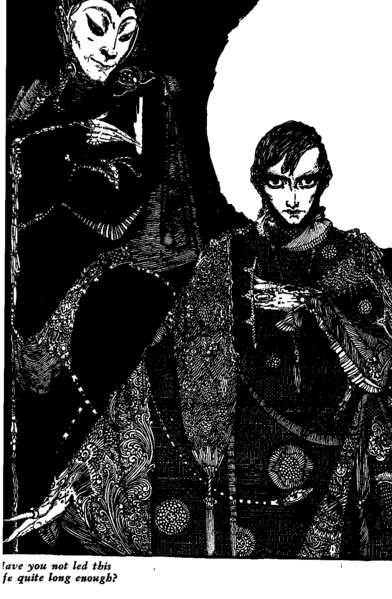 Monotheism does, however, has an analogue that could potentially be leveraged, which is a deal with the devil (see the Faust legend for some inspiration, though it does not involve the desire for a second chance). This entry was posted in Uncategorized on February 29, 2012 by Necropraxis. Here is an index of the answers people have given to 20 Quick Questions: Rules. Apologies if I have missed you. Leave a comment and I’ll add your link. Recently I posted this set of rules clarification questions and a number of people explained how they do things. I had no idea this would turn into a survey, but now that we have some data, why not make use of it? Many people discuss rules prescriptively or theoretically, but this is a measure (at least partially) of what people do. Thus, these approaches are actually working for people at the table (as opposed to just looking good on paper). Of all the questions, the one that seems to have generated the greatest variation is how people handle helmets. Here are some of the answers, organized roughly by popularity. I tried to group similar answers and in the process I may have lost some minor details. It is assumed that an appropriate type of head armoring will be added to the suit of armor in order to allow uniform protection of the wearer. Wearing of a “great helm” odds the appropriate weight and restricts vision to the front 60″ only, but it gives the head AC 1. If a helmet is not worn, 1 blow in 6 will strike at the AC 10 head, unless the opponent is intelligent, in which case 1 blow in 2 will be aimed at the AC 10 head (d6, 1-3 = head blow). Generally characters are assumed to be wearing a helmet with their armor. However, if for some reason a character is not wearing a helmet an opponent of no intelligence or relatively low intelligence will strike at a character’s AC 9 head on a roll of 1 on 1d6. Intelligent opponents will attempt to strike the head on a roll of 1-2 on 1d6. This entry was posted in Uncategorized on February 28, 2012 by Necropraxis. Earlier this month, Delta wrote a post about wilderness movement rules in AD&D. I like the idea of modelling wilderness movements in terms of a budget (based on mode of locomotion) that can be “spent” to enter adjacent hexes. (This is also the way Fourth Edition does tactical movement.) The important conceptual work is all in Delta’s post, but I want an easily gameable set of rules that I can apply to my 6 mile hex maps based on the B/X wilderness movement rules (the relevant references are Labyrinth Lord page 45, the Expert rulebook page X19, and the Rules Cyclopedia page 88). The base budget is calculated by doubling the normal “inches per turn” movement rate. 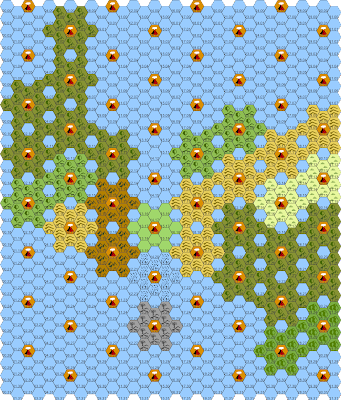 So a standard human movement rate of 12 translates to 120 feet per turn and 24 miles (or 4 hexes) per day of clear ground. Each movement point ends up being worth one mile of travel on clear ground, which is nice. * There is no chance of getting lost when following a trail if the trail is well-known. Delta suggests that for added realism different modes of transport might have modifiers when moving over some terrain types (he gave the example of cavalry over mountains). I agree, but I’m not going to systematize that. I think individual rulings for specific situations will be good enough. These calculations are all behind the screen, so players will not be thinking in terms of movement budgets. At least, that’s how I foresee this. We’ll see how it works in practice. This entry was posted in Uncategorized and tagged wilderness on February 27, 2012 by Necropraxis. Jeff Rients has a great list of 20 quick questions to add campaign details in ways that are likely to affect actual play. 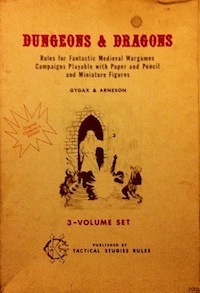 I was thinking, based on this other post by Jeff about treating all editions of D&D as a toolbox and this post by JB over at B/X Blackrazor about creating his own version of D&D, that it would be useful to have a list of rules that often change from campaign to campaign. Here are 20 rules clarifications that are likely to be needed anyways at some point. If you decide this stuff early, you are less likely to have misunderstandings and more likely to all be on the same page. Edit: index of some responses here. This entry was posted in Techniques and tagged technique on February 24, 2012 by Necropraxis. Elves: A tribe of the fairies that use not to exceed an ell in stature. It’s interesting to see this meaning actually encoded in the name, despite the fact that the tall Norse elf (the álfar) has become dominant via the works of Tolkien. Also related, over at Strange Magic: Monster Makeover: Elves (though I prefer my faeries to have more sinister and less German peasant). This entry was posted in Uncategorized on February 23, 2012 by Necropraxis. Conspectus: Resting on warm but brooding seas, the Idle of the Dead is a palimpsest of ruins. Many different civilizations have in the past settled on the Isle. The wilderness is haunted by the hidden realms of Faerie, visible only to those with the second sight. The Isle is scattered with abandoned colonies, restless dead, ghost towns, and the cast-off outposts of past inhuman visitors. The fragile but tenacious settlements of recent colonists cling to the coasts and ply the shallow seas. Spirits and wizard kings have set themselves up as petty gods demanding worship and tribute. The primary visual inspiration is obviously Böcklin’s piece above, but I’ll post more images in the future. I don’t want to clutter this post up too much. Here is information about some of the past inhabitants. The Monument Builders. Their works are crude but of immense scale. No one knows anything else about them. The Old Empire. This was a civilization of tremendous advancement. They built wonders of engineering including bridges, aqueducts, soaring towers, and cities beneath the ground. Little is known about the society of the Old Empire. In fact, it is unknown whether it even was an empire. It is assumed to have been an empire due to the vast extent and uniformity of obviously related ruins. It is so old that nothing is known of its history or rulers, and few artifacts other than the architecture itself has survived. Many Old Empire structures have been repurposed by later settlers. The Visitors. These ruins are obviously not of human origin and sometimes contain strange devices. Sages differ on whether the remnants of the Visitors came before or after the Old Empire. The Hundred Kingdoms. The beginning of written history as far as most scholars are concerned. For the most part, the kingdoms did not extend to the Isle, though there are ruins of small outposts, perhaps the homes of heretics or outcasts. Other islands, and of course the mainland to the east, are the primary sources of Hundred Kingdoms ruins. The religion of the Kingdoms held that past the western seas lay the land of the dead. 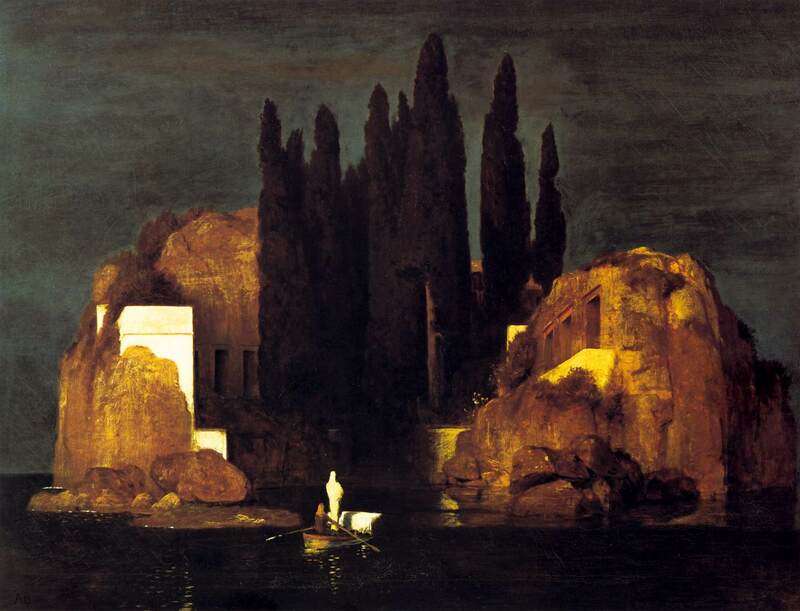 Some believe this is the origin of the name Isle of the Dead. The Great Empire. The Great Empire arose on the mainland to the east when the Hundred Kingdoms were unified. The First Expedition. During the zenith of the Great Empire, armies and settlers were sent in all the directions of the compass to explore and subdue. This was the first of two waves of colonization, and was a direct political extension of the metropole. Not much is known about these earlier colonies because after several generations contact was lost. The legend is that they rebelled against the homeland and so were cursed by the gods. That was 500 years ago. The Second Expedition. Founded approximately two hundred years ago, the Second Expedition followed in the disastrous footsteps of the First. Unlike the First Expedition, the Second was led by adventurers and frontierspeople. At this time, the Great Empire was in a more inward-looking mood. When the settlers arrived, all they found were ruins and ghost towns. Initially, the colonies flourished, and spread around the edges of the Isle. Trade and commerce with the homeland was strong, but over time fewer and fewer ships returned until there was no contact. 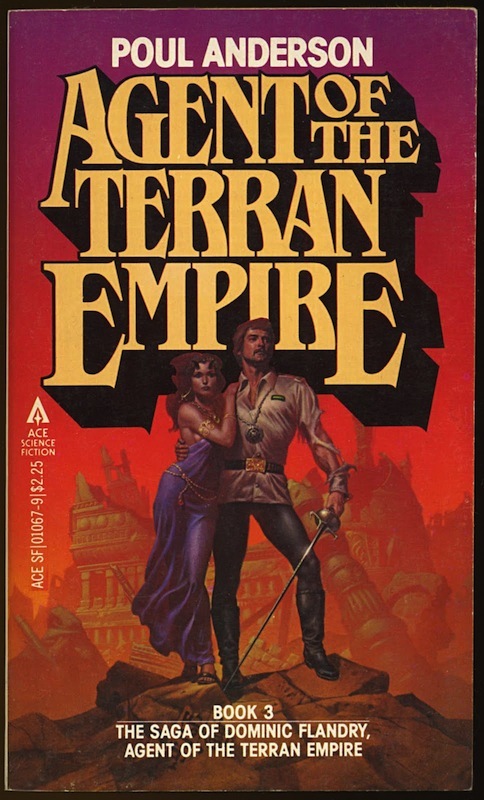 It has been two generations since the last successful voyages, and many assume the Great Empire has either suffered some disaster or disintegrated once more into feuding kingdoms. The point of this detail is not to have an extensive history, but to allow me to differentiate between different types of ruins, and to create meaningful connections between them. I am trying to avoid engaging in world building for its own sake, so if something doesn’t add to the experience of the game as game, I don’t want to spend (much) time on it. I’m trying to build from the bottom up as much as possible, but I find I still need some level of thematic framework before I can begin creating domains and points of interest on the map. As I have been detailing this setting, many things have surprised me. For example, the degree of Mediterranean influence. I wasn’t really planning that to begin with. And the influence of the sea. I guess I will need to become more familiar with nautical rules. This entry was posted in Uncategorized and tagged ACKS on February 22, 2012 by Necropraxis. Before I can proceed further with my Adventurer Conqueror King System setting, I need some actual geography. Note that I’m a “learns best by teaching” kind of guy, so don’t take any of this as gospel. This is just a record of what ended up working for me. I would love to hear about different methods that work for other people. 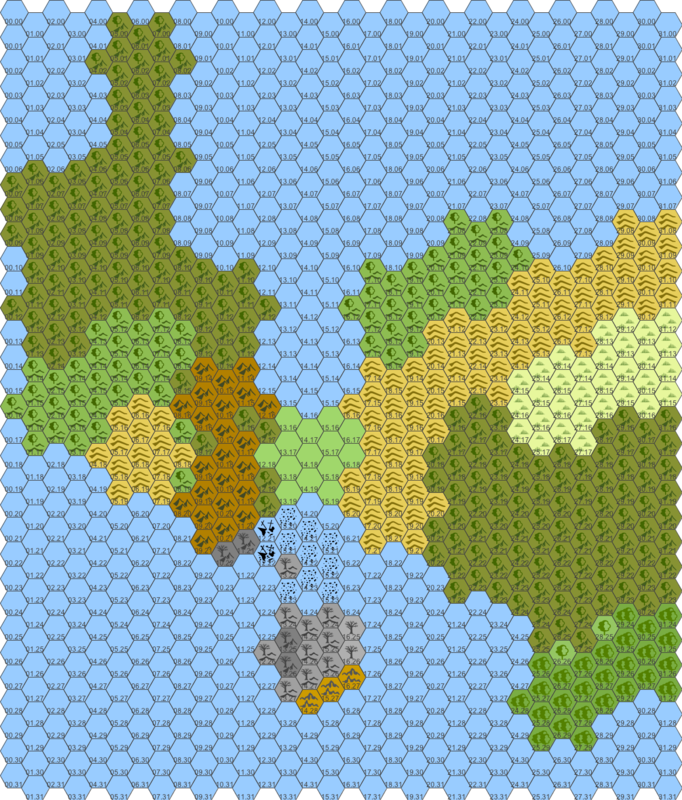 So I decided to use this fragment as a portion of my 24 mile per hex “campaign level” map and my first region. It’s 8 by 8, so that’s one sixteenth of the entire campaign map. I have some ideas about the surrounding area, but I’m not going to worry about it at this point. The fact that this is an island helps somewhat also; it is unlikely that the PCs will accidentally wander too far afield near the beginning of the campaign (Trollsmyth took a similar approach in his hex mapping series). It also means that PCs can either begin as natives or as victims of a shipwreck. I really like this particular map because it has two major sections with a nice small choke point in the middle. I’m envisioning those connective lowlands as the center of civilization on this island with deep, forested wild mountains to the east and more wild interior to the west past the barrier of the rocky mountains. Flipping the assumptions of Keep on the Borderlands, I think the mountains will contain chaotic border forts (like the gates of Mordor, but smaller scale) protecting the western interior from the settled lowlands. In addition, other lawful settlements will be scattered around the edges of the island, much like the way settlements hugged the shore of Ancient Greece. Communication between the lawfuls will be by short range sea vessels, but more on that in later posts. To proceed, I need to zoom in on that map and translate it to 6 mile hexes. 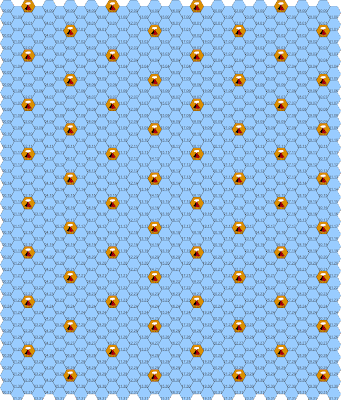 The Welsh Piper has some wonderful hex templates that can be used with Hexographer, but unfortunately they assume 25 mile and 5 mile hexes (thus 5 subhexes per superhex), which is not compatible with the dimensions I am using. So this is what I did to make sure that the maps line up at different scales. 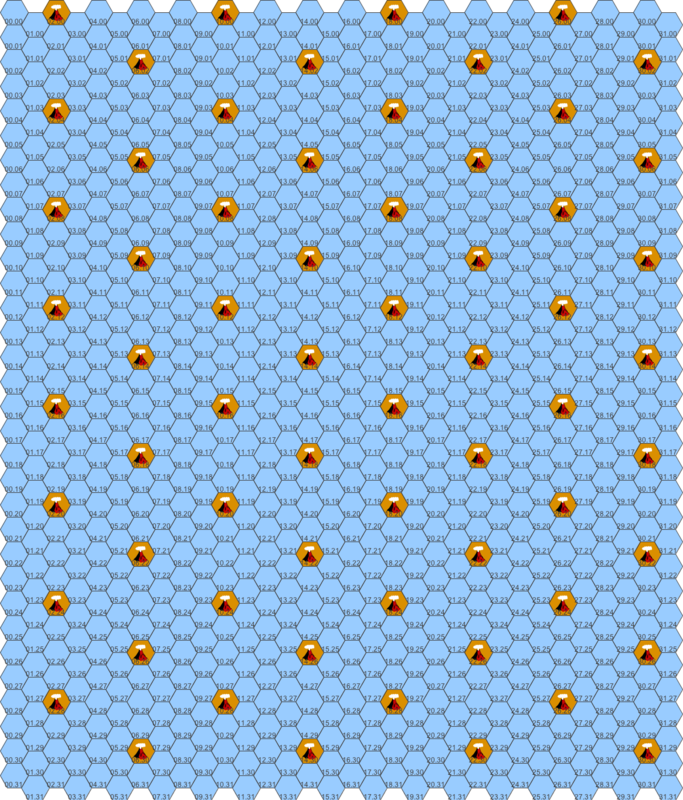 I started by marking the center of the 24 mile hexes using an arbitrary hex icon that will go away at the end. I chose volcano hexes because they stick out. 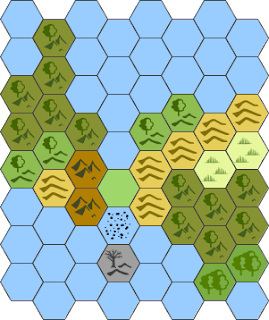 All hex centers should be equidistant and separated by three hexes in any direction. To see why I placed the centers where I did, check out this picture from my previous post. This is still far from complete geographically. You can see that I started to add some details, such as small variations in terrain type at the 6 mile resolution. I don’t plan on creating all the variations prior to play, even just within this single regional map, but as I start to place locations such as domains and dungeons, I’m sure more terrain variation will creep in. My personal rule of thumb is that the majority of subhexes should share the terrain type of the superhex (for example, if the 24 mile hex is forest, at least 7 or 8 of the contained 6 mile hexes should also be forest). Exploring this geography also finally led me to a setting name, which I will reveal in the next post. 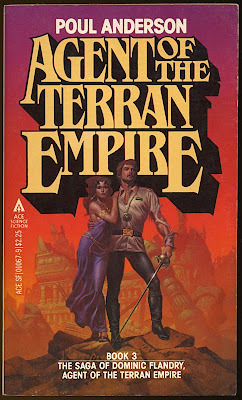 This entry was posted in Uncategorized and tagged ACKS on February 21, 2012 by Necropraxis.